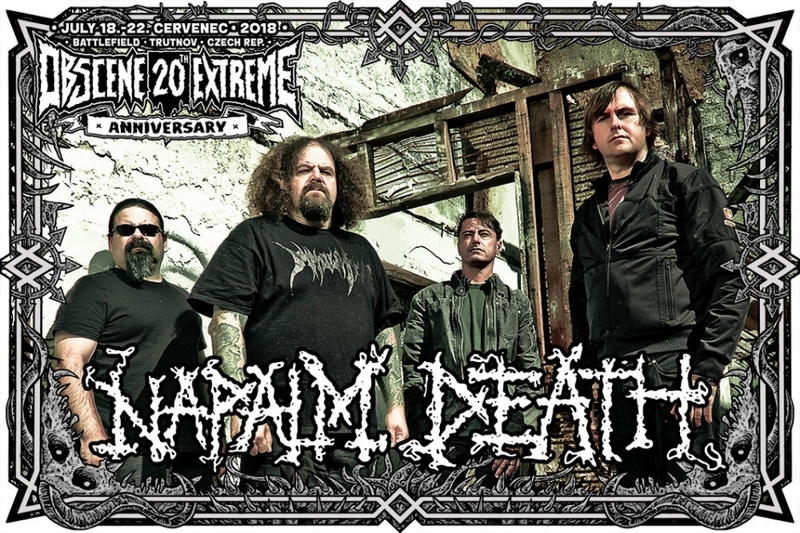 "NAPALM DEATH!!! Yes, the only possible headliner of our anniversary festival!!! The band that have personally influenced me in an incredible way and I am extremely glad to this day the immortal albums "Scum" and "From Enslavement …" happened to come my way being still a greenhorn at that time! It was and will be a cult forever!!! That unreal energy, that passion, that fascinating tempo ... Even after so many years (and listenings) one would still break his head by a massive banging to the beat !!! This band just means a lot to me. The boys have my endless respect for keeping it up for an unbelievable 37 years. Though I can say there were times and records that did not smell as sweet as the above-mentioned milestones to me but maybe that is why I appreciate them even more. Always they did what they considered right and what they just wanted which reminds me a lot of my or perhaps our OEF story. Naturally, I never dreamed even in my wildest dreams that I would regard these guys as good friends, go to visit them with the whole family for vacation and look forward to every meeting ... I do not believe they will ever be out of breath as when I saw two concerts during their latest Czechoslovak tour couple of weeks ago it was an unreal stream of pure energy and maybe even some of the best NAPALM DEATHs concerts I have ever seen!!! Yes, I love NAPALM DEATH and I always will. And this year I will definitely stage dive during their concert and enjoy this concert totally!